Meet the Maker — Julep Candle Co.
At Julep Candle Co., each high-quality all natural soy wax candle has been handcrafted from an authentic stainless steel julep cup, a sturdy keepsake inspired by our founder's appreciation for a well-served cocktail which can reused long after the candle is done burning. Our fragrances have been blended to mimic the flavors and aromas found in your favorite race day and classic cocktail recipes. Soy wax is a vegetable wax made from the oil of soybeans, unlike paraffin candles that are made from petroleum. It is non-toxic, non-carcinogenic, eco-friendly, and biodegradable. Soy wax candles also burn more cleanly and evenly (meaning less black soot and longer burning) than paraffin candles. The Mint Julep has been the traditional beverage of Churchill Downs and the Kentucky Derby for nearly a century. Each year, almost 120,000 Mint Juleps are served over the two-day period of Kentucky Oaks and Kentucky Derby weekend at Churchill Downs Racetrack. That’s a feat that requires more than 10,000 bottles of Bourbon Mint Julep Ready-to-Serve Cocktail, 1,000 pounds of freshly harvested mint and 60,000 pounds of ice. To Southerners, a mint julep is more than a drink; it's a cup of emotion, full of tradition. Julep Candle Co. was dreamt up and made a reality by Tiffany Boyte, Founder and Chief Candlemaker. 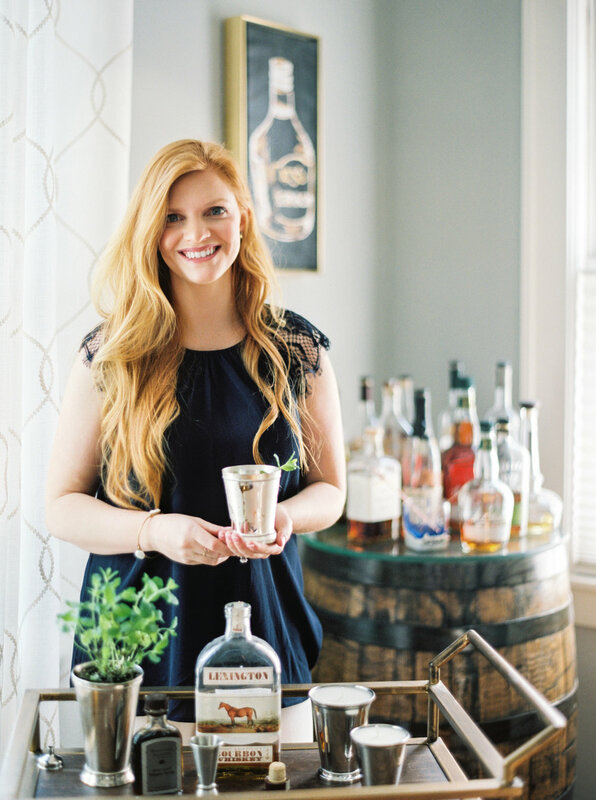 Tiffany moved to Lexington, Kentucky from Nashville, Tennessee in 2013 and found herself acquiring the Kentucky lifestyle and learning to appreciate all that it had to offer (hello bourbon trail, UK basketball, and the Kentucky Derby!). After receiving authentic pewter mint julep cups as a gift, she had an idea to "melt" the two loves of an entertaining piece, a cocktail, and a historic racing item into what is now Julep Candle Co. Recently in 2018, we expanded into Nashville, Tennessee and Charleston, South Carolina as additional locations for production and warehousing, which is why we are proud to say we're truly "Made in the South". When Tiffany isn't pouring candles, she utilizes her backbone of marketing and business development to help other small businesses with their marketing strategies. When she's not working or pouring candles, you can find her playing with her two mini-Australian Shepard pups, Maci and Marley, listening to music, or having a cocktail with friends. Cheers!